In the center lancet of the learning window Saint Anne, mother of the Virgin, is instructing the young Mary, who reads a book. At her feet, an angel holds the light of learning. 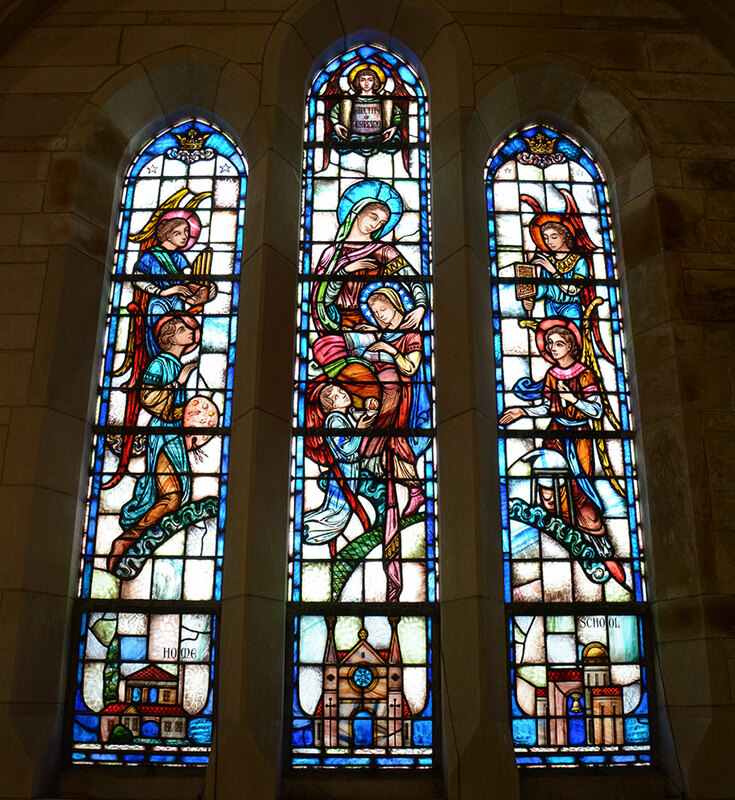 In the side panels are angels bearing representations of the different art and sciences (a musical instrument, an artist’s palette, an abacus, and a test tube) symbolizing the fact that only with the backing of the Church do the arts flourish. In the predella beneath is shown the Church, the center of all teaching, and, on either side, the home and the school.